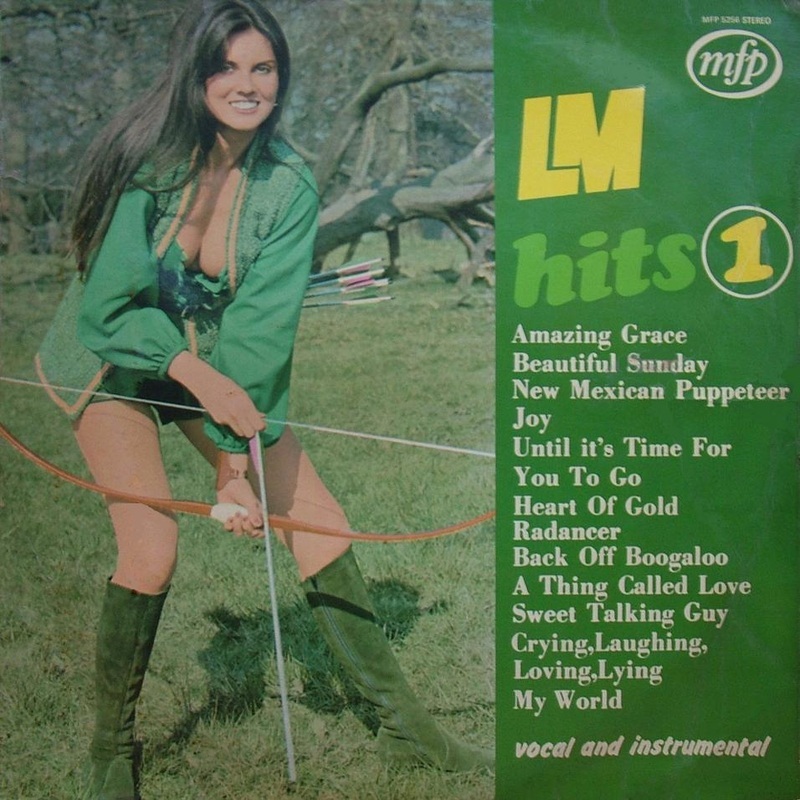 The cover model here is Caroline Munroe, later to star in the Bond film The Spy Who Loved Me (1977). The album reached number 19 on the NME album chart. 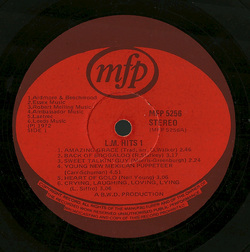 This Israeli edition does not deviate from the UK album, so far as the front cover is concerned - although it appears to be printed in slightly drab colours. The back, however, has the two photos changed to black and white, with the green panel somewhat lighter. 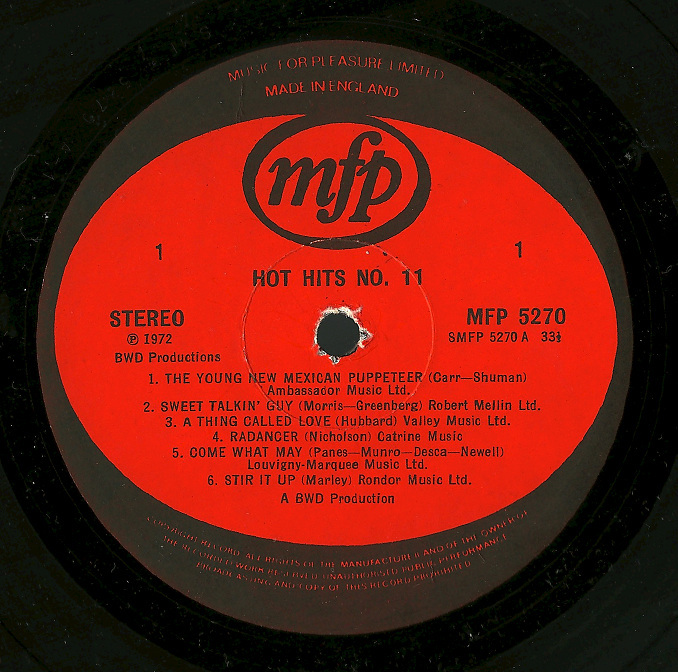 It was issued on the black MFP label, with a catalogue number matching that of the UK. 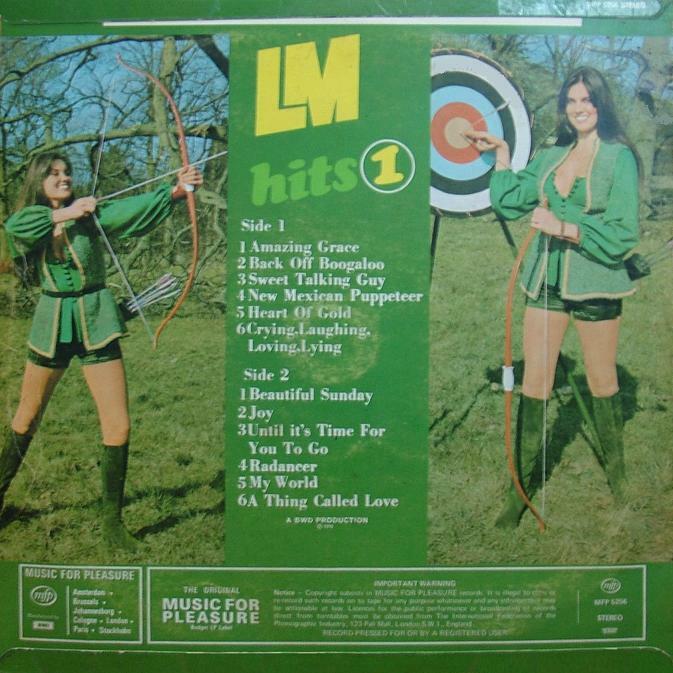 Little is known about this Dutch album. 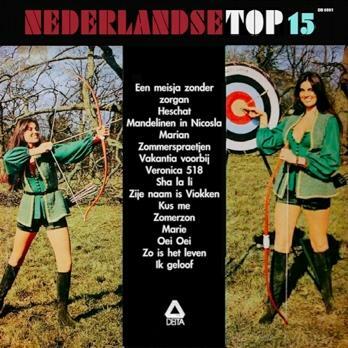 It's called Nederlandse Top 15 and was released on the Delta label. 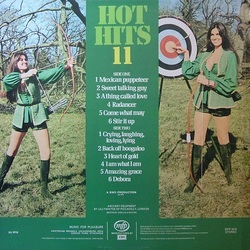 Presumably this is the front of the cover - although it uses the back of Hot Hits 11 for its design. 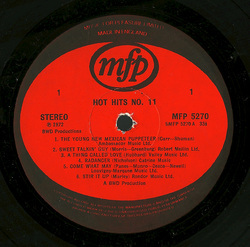 South Africa was a hotbed for MFP covers albums - their Springbok series alone accounted for 70-odd LPs. 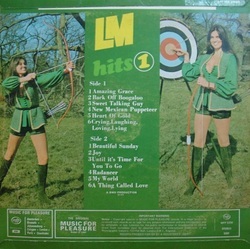 Another (shorter) series was LM Hits and volumes 1 and 2 based their cover art on Hot Hits 11 and 12 respectively. 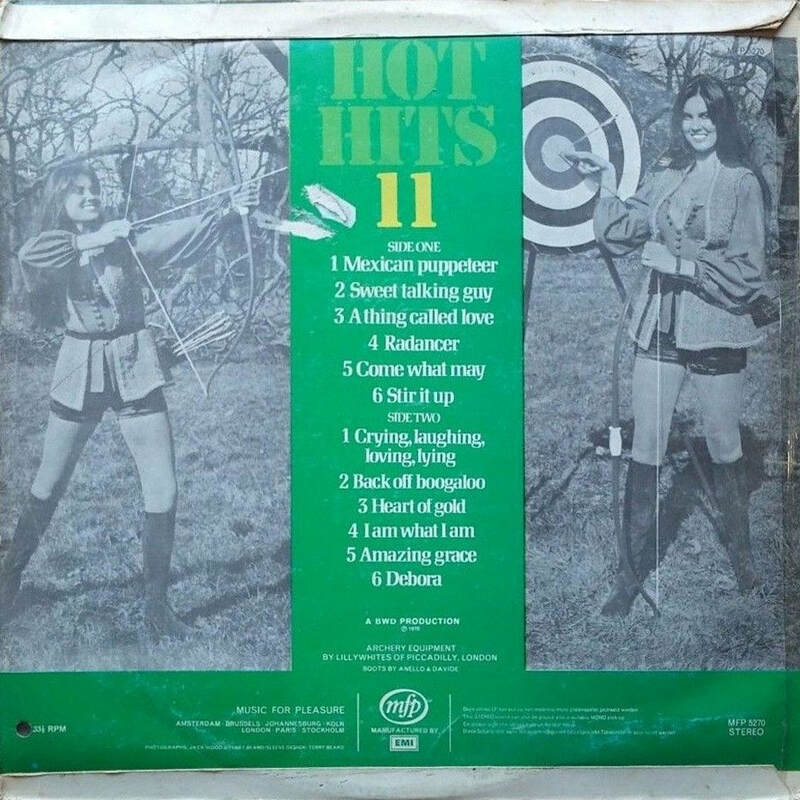 This LP contains only eight selections from the 12 featured on Hot Hits 11. 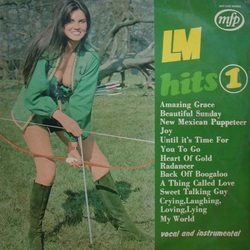 The others do not turn up at all in the UK discography ("Beautiful Sunday", "Joy", "Until It's Time For You To Go" and "My World") although the album as a whole is credited to BWD, so they are probably from the same general source. 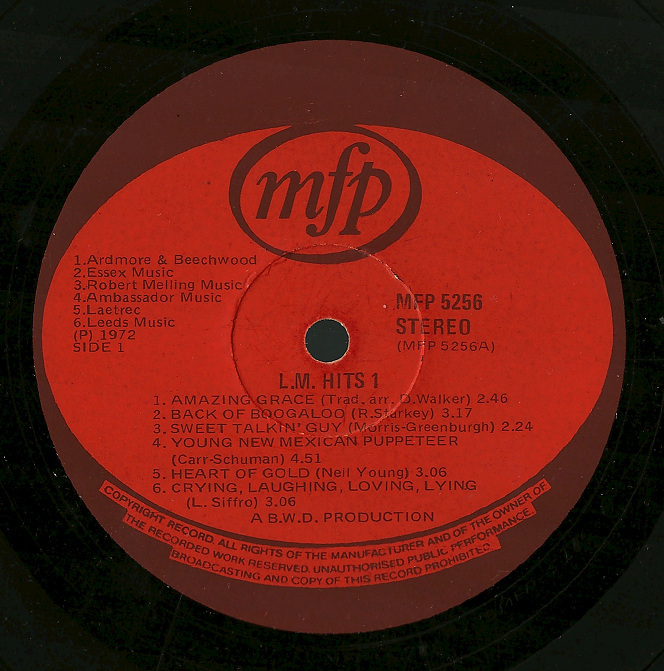 Carrying the same catalogue number as the UK album, this West German edition has completely different artwork. 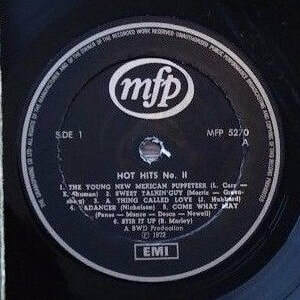 The tracks are listed on the front and correspond exactly with the playing order. 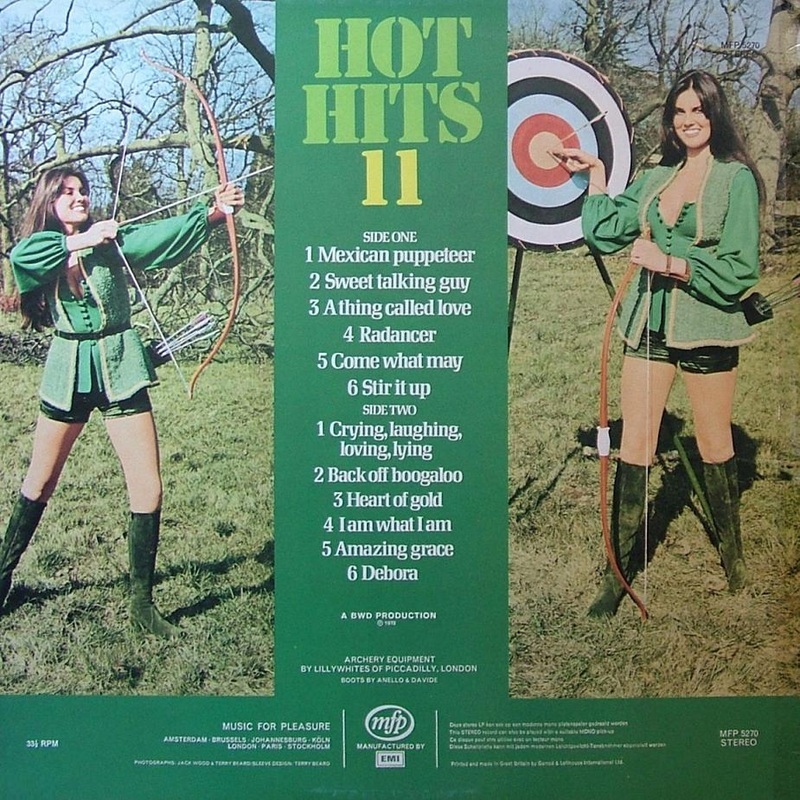 The title is Hits International 2 and this could conceivably be a sequel to International Hit Parade 1 - for which, see Hot Hits 7.